A lot of people are seeking CNA certification in Hawaii as the demand for workers in healthcare facilities increase each year for this type of job. The outlook for this career is a bright one as more and more people are looking for these types of services either at home or in nursing care institutions in the state of Hawaii. To be able to practice this type of job, you first need to know what type of education attainment to acquire as well as the type of trainings that you need to go through. You also have to understand the state rules and regulations regarding this job and the type of requirements for renewal of license as well. In Hawaii, you would have to go through a training program which is approved by the state and which possesses the required subjects and training hours for a nursing assistant course. The state requires at least 70 hours of classroom teaching as well as 30 hours of practical training at a nursing facility or setting which would expose the student to actual situations as a nurse aid. The facility should also have a qualified medical practitioner as a supervisor such as a registered nurse or a physician. The American Red Cross in Hawaii also provides a training program for those who are aspiring to become nursing assistants. They offer both an in-house and online training for prospective students. A minimum of 12 students are allowed for in –house training and 6 for those who enroll online. The applicant would be required to submit to a TB test and a background check before they can be admitted. The in-house training involves 84 hours of classroom teaching and 35 hours of practical training. The student would also need to pass the final exams before completing the course. After completing the course, you can now proceed to take the CNA certification exam. This is also conducted by the American Red Cross Hawaii and they can also give out group tests to various facilities that provide training programs. The tests consist of an oral or written exam as well as a skills test. The examination can be finished in one day and can last for about 5 ½ hours. The applicant would have to pass the skills test first before proceeding to the written exam. The results would be given the same day and if a candidate fails a part of the test, he can re-apply after 30 days. The certification and card would be sent within 10 days if one passes the exam. Once licensed you are included on the HI nurse aide registry for a period of two years. 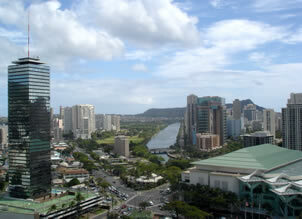 Those who are already certified from another state can also apply for reciprocity in Hawaii. They would need to contact the American Red Cross Hawaii first to get the necessary forms for reciprocity. The license would have to be renewed every 2 years and the American Red Cross would be the one sending the notice for renewal. The state requires at least 8 hours of paid nursing aide work as well as a competency evaluation before one’s license can be renewed. Click this link to find CNA classes in Hawaii by city.